Start now with myWEIGHTcoach and myHEALTHcoach and transform yourself! You have a few too many pounds and want to know how you can eat appetizing food—while still losing weight? You’re well versed in diets and nutrition—but the stress from work is hindering your efforts? We’ll show you how uncomplicated healthy eating can be and how you can make yourself fit and slim! Unsure where your data is going and who can see it? Feel free to check out our private policy to assure yourself that we will handle the security of your information with care and respect. Don’t know which course is right for you? Then take a look here to get to know more about myWEIGHTcoach and myHEALTHcoach. myWEIGHTcoach is eligible for anyone who would like to lose a few kilos. In just ten weeks, you’ll not only learn about what types of food help make you fit and slim, but also helps you learn what you should watch out for when grocery shopping and how you can prepare delicious, weight-reducing recipes. Of course, you’ll also be given tips on how to keep yourself motivated and with which exercises you need to accurately activate your body. Thereby myWEIGHTcoach isn’t a temporary weight-loss diet but a whole dietary change. Because we want you to have a lasting success and that your struggle with the yoyo-effect is part of the past. subsidy from your health insurance company of up to 100 %*. Are you searching for a program that will guide and show you what healthy nutrition really is and all that it can do? Then myHEALTHcoach is the right choice for you. Doesn’t matter whether you’re a man or woman, if you have to work from 8 to 5 or work in shifts. In 8 weeks you’ll learn how you can eat healthy without needing to make major adjustments to your daily work life; which choices you should make during your lunch break; and what’s going on with new nutritional trends. You’re a vegetarian? No problem. Every week the program provides special tips for vegetarians as well. * Depending on your health insurance company you can get a subsidy of up to 100% on the course fee of 89 €. Just ask your health insurance company! 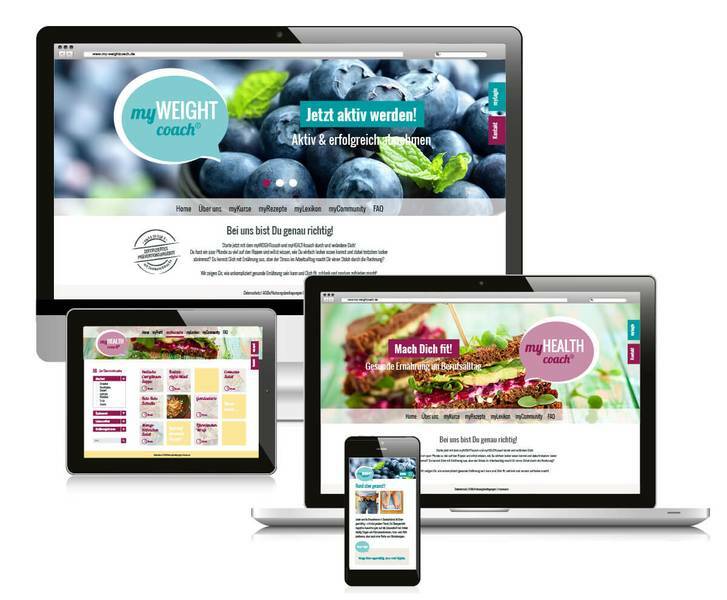 ...that you can use myWEIGHTcoach and myHEALTHcoach on the go as well? Regardless whether you’re using a PC, laptop, tablet or smartphone, you can access the program through all the above – making your transformation even easier. What is a Goji berry? Does a pepper really have more vitamin C than a lemon? How do I actually blanch vegetables? And what is the acid-based balance? You can find answers to these questions and more in myLexikon. In myCommunity you’re able to interact with other participants of myWEIGHTcoach and myHEALTHcoach. You can ask questions, but also answer the questions of others. Additionally, all users can exchange tips and tricks with one another and share success stories in order to motivate each other. 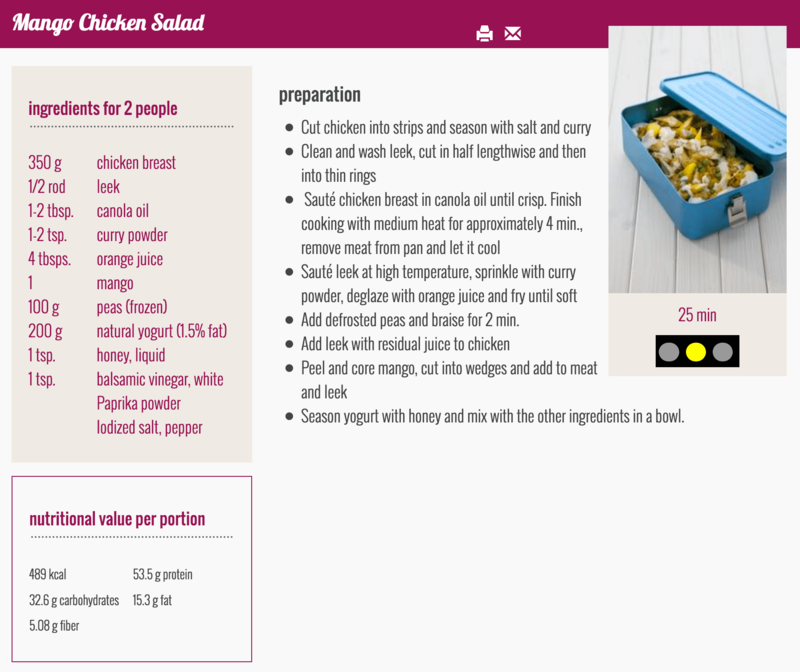 Healthy, delicious and quick to make – that’s exactly what we have in mind when we create our recipes. Regardless of whether you’re in your own kitchen, at work or on the go—you’ll find recipes for every occasion here. Let our recipes inspire you and try out something new from time to time. We wish you fun with your cooking, and joy with your eating! myWEIGHTcoach and myHEALTHcoach are the joint projects of ten large German BKKs, as well as the ESG-Institut für Ernährung, Sport und Gesundheitsmanagement GmbH. The expertise of ESG’s nutritional scientists is combined with the experience and strengths of the health insurance companies, from which arose a certified and practical online-tool to support you. Together with our coaches, we offer you the possibility to reduce your weight through an innovative and scientifically informed program, supported by the health insurance companies. Accordingly, such participating will help you implement healthy eating into every-day work life. Here you’ll find the most frequently asked questions over myWEIGHTcoach and myHEALTHcoach. What does myWEIGHTcoach and myHEALTHcoach offer me when I am participating and how does it work? MyWEIGHTcoach & myHEALTHcoach are two online course offers which will support you in reducing your weight or to help implement a healthy diet into your everyday life. The courses accompany you over several weeks and help you to change your diet to a healthy and sustainable one. Every week, you will find contents which are processed consecutively in an exciting way via short texts, videos or interactive elements. These will help you to get used to a new eating behaviour. 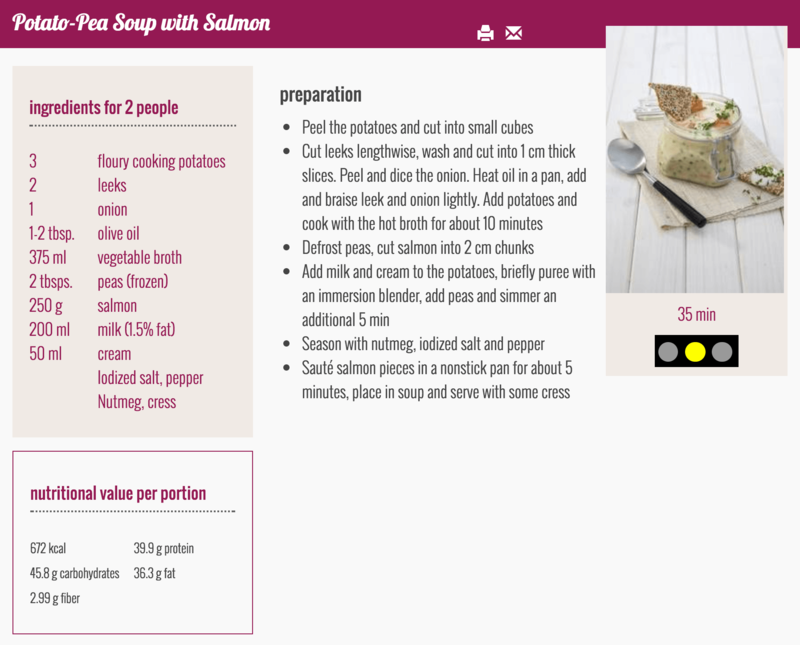 This program is supported by a comprehensive databank with recipes, a food dictionary and myCommunity, in which you can share your experiences with other users. Moreover, you will receive a weekly email which will motivate you with new tips and tricks and new recipes. In order to participate, you just have to fill out the registration form, and after the payment, you will be directly transported to the course area. For whom is myWEIGHTcoach and myHEALTHcoach? The myWEIGHTcoach course is targeted for adults (over 18 years) who would like to reduce their weight. Because this is a prevention course, your BMI (Boday-Mass-Index) should be under 30. If your BMI is over 30, then you should talk to your doctor before you participate in myWEIGHTcoach. 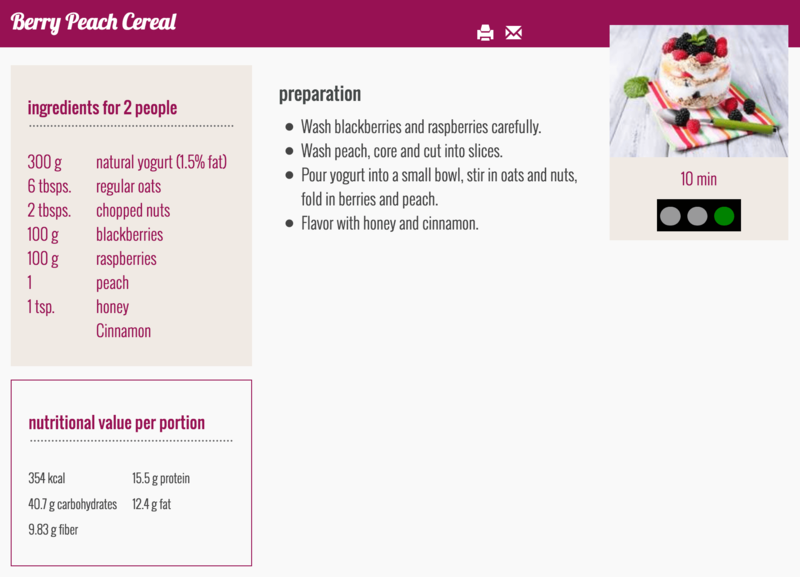 The myHEALTHcoach course is targeted for adults (over 18 years) who like to have a healthy and balanced diet, especially in everyday working life. Because this is a prevention course, your BMI (Body-Mass-Index) should be below 30. If your BMI is above 30, then you should consult your doctor before participating in myHEALTHcoach. If you have pre-existing illnesses like diabetes mellitus type 2 or an eating disorder, then you cannot participate in myWEIGHTcoach or myHEALTHcoach because we cannot consider pre-existing illnesses in the courses. Additionally, the online courses are not meant for minors, pregnant women or breastfeeding mothers. Do I get a dietary plan, to which I would have to cook and eat accordingly? No, you do not get a ready dietary plan from us. The strategy of myWEIGHTcoach and myHEALTHcoach is to show you ways to healthy eating behaviour which can be integrated into your everyday life. A strict dietary plan is rigid and inflexiable, it does not adjust itself to your everyday life and is therefore not helpful. However, you will find a wide range of offers of delicious recipes under myRecipes. 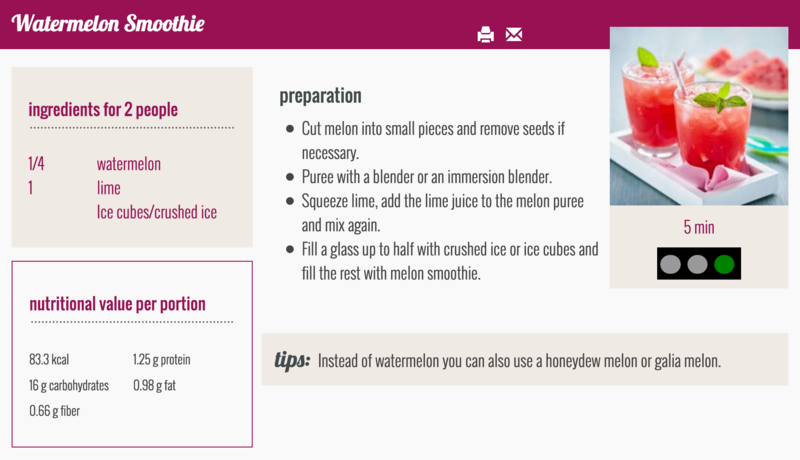 This way, you can implement the suggestions of myWEIGHTcoach and myHEALTHcoach. How long does participation in myWEIGHTcoach and myHEALTHcoach take? myWEIGHTcoach accompanies you over a period of ten weeks, in which you learn how to re-organize your diet with a new strategy in order to reduce your weight and to keep your reduced weight for the long-term. myHEALTHcoach informs you over a period of 8 weeks how you can eat healthy and balanced at work in order to stay fit and efficient. How much do the myWEIGHTcoach and myHEALTHcoach courses cost? You are a member of the mhplus, IKK-classic, hkk Krankenkasse, TUI BKK, BKK Salzgitter, BKK Public or the BKK KBA? Then your health insurance company undertakes the cost and you can participate in the online courses for free. You are not member of the aforementioned health insurance company? No problem, then you can participate as well, of course! The participation in one course costs 89,- Euro. If you participated regularly and therefore completed the course successfully, then you can hand in your participation certificate at your health insurance company and you get reimbursed for the costs. You will read how this works further below. How does Registration and Payment function? Step 1: First you will enter your information, such as name, address, health insurance, insurance number, as well as gender and email address. Step 2: Next you’ll input your weight and height, and will be asked whether you have any illnesses, or other states such as pregnancy. When such is the case, neither myWEIGHTcoach nor myHEALTHcoach is suitable. Step 3: Now you’ll be able to create your username and password for your login. Please make sure your password is comprised of at least 6 characters. For security reasons, you should use both small and capital letters, as well as numbers and/or symbols. Step 4: At this step you will set up your payment. If you belong to mhplus, hkk Krankenkasse, TUI BKK, BKK Salzgitter, BKK Public or BKK KBA, then myWEIGHTcoach/myHEALTHcoach is free for you. If you belong to an unlisted health insurance provider, you can pay for the course yourself initially and then you can get a grant/subsidy from your provider. Get more information from your provider to know how much they can support you financially for myWEIGHTcoach or myHEALTHcoach.When you press the “Payment” button, a new tab/window with our “PayPal” payment tools will open. Here you will be able to pay for the course with either a PayPal account or a debit or credit card. Step 5: In order to finalize your registration, you’ll automatically be redirected back to the registration form upon successful payment. If you are not, you will find a link at the bottom of the payment page that will take you back to our site. Back on the registration page, you will now need to agree to the general terms and conditions, as well as the privacy agreement, after which you click the Register button, and then you are done. Please note that the last step is very important. If you close only the tab/window of the successful payment you are not fully logged in and you will not be able to log in with your data despite having paid. Which forms of payment exist? The payment of the participation fee takes place online through a save payment form. After the registration, you will be automatically directed to the payment form and there you can pay via credit card (MasterCard, VisaCard), via debit or via PayPal. How does the reimbursement work and which health insurance companies support the participation in myWEIGHTcoach and myHEALTHcoach? Because myWEIGHTcoach and myHEALTHcoach is certified by the central inspecting authority of the GKV-Spitzenverbände according to the guideline of prevention (§20 SGB V), they can basically be subsidized by all public health insurance companies. This means that your health insurance company can take between 75 % and 100 % of the participating fees, depending on the constitution of the health insurance company. The cost takeover will take place reactively after the completion of the course. You will do the advance payment and you will pay the participating fees first. A regular participation of the chosen course is a pre-condition for the reimbursement according to §20 SGB V. After completion of the course, you can request a subsidy with your participation certificate and the bill at your health insurance company. The health insurance company can tell you how high this subsidy will be. Unfortunately, we cannot give information about this. How do I get my participation certificate? In order to obtain a participation certificate, you have to participate regularly and successfully in all eight course units (myHEALTHcoach) or ten course units (myWEIGHTcoach). A successful participation means that you did the Week-Check at the end of the week. After the completion of the course, you can download the participation certificate in the area of myDownloads and you can submit this together with the bill to the health insurance company. How much time do I have to budget for the courses? The advantage of an online course is that you are not bounded to strict times. You also do not have to apply at specific period of time for the course - as it is usually the case for prevention courses, but you can use short waiting periods or breaks to log in and to be engaged with the contents. Additionally, you can access the courses anywhere if you have the internet. How much time you spend in order to study the specific course steps is up to you. This means you can adjust myWEIGHTcoach and myHEALTHcoach individually to your life rhythm. What happens if I would like to go on holiday or if I am sick during the course? Theoretically, you can participate in both online courses if you have internet access. In order to have a break from course participation if your are on holiday or if you are sick, you can access both courses for fourteen respectively twelve weeks. Because myWEIGHTcoach takes place for ten weeks in total and myHEALTHcoach for eight weeks, you have the possibility to have a break from the participation for four weeks. To keep on track, we suggest that you participate in the courses regularly and without longer breaks. Do I get support if I have questions? Of course, you can ask us if you have technical or content-related questions. Our expert team is giving you support and answers. Please use the contact form and we will work on your request. For further support or sharing experience with other users, you can use myCommunity. There, you have the opportunity to get in contact with other people and you can share tips and tricks. What do I do if I have forgotten my login data? If you have forgotten your login data, then you can click in the area of "myLogin" on "Forgot your password?". There, you can type in your email address or your user name and you will receive an email with instructions to reset your password. Which system requirements does my PC need in order to participate in the courses? In order to participate in myWEIGHTcoach and myHEALTHcoach, you have to have access to the internet via a PC, a tablet or a smartphone. We suggest to use a current version of a browser [Mozilla Firefox, Microsoft Internet Explorer (at least 9), Google Chrome or Apple Safari]. If the courses are not correctly shown on your PC, please actualize your browser version. No problem. Just look right to click on the button “Contact” and we’ll gladly answer your questions.